Summary: In his first AMA on Reddit, Microsoft Chairman Bill Gates calls WinFS the Microsoft product he most wished had made it to market. I probably should have been consulting the Urban Dictionary. It definitely knows about AMA. Just to be clear, the picture here is related to something a bit different. The image shows the cover of a book that promotes itself as providing "every fact you ever wanted to know." 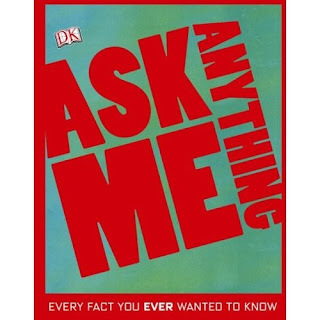 I very much doubt that every fact I ever wanted to know could be put inside the covers of any book, no matter how large, and I am also skeptical that anyone would ever respond truthfully to "any" question posed in an AMA. However, what about a slightly modified reading of "AMA"? Given my belief that "anything is possible" within the world we create ourselves, it makes sense to me to realize that I can "Ask Myself Anything," and that it would undoubtedly be a good idea for me to do that, much more often than I do. Each one of us has the capacity to ask ourselves to think about and to do things that we have not previously thought about or contemplated before. I can AMA, anytime. Our ability to "ask" or to "demand" anything of ourselves is plenary. It is, indeed, the very definition of our human freedom.